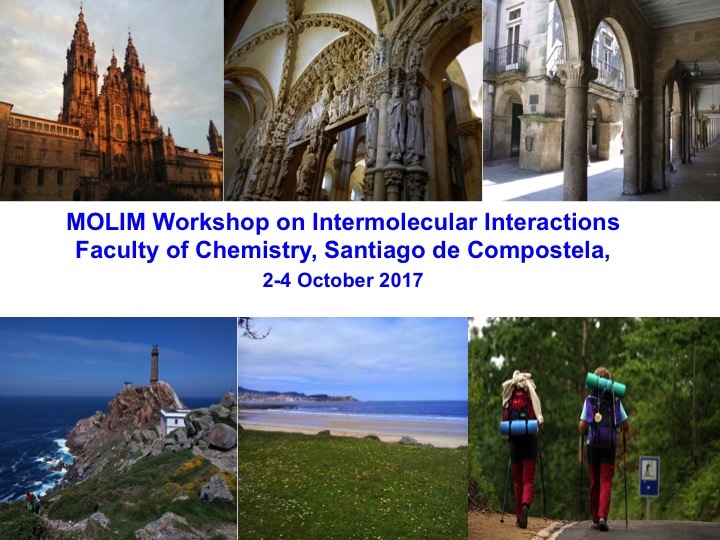 The workshop on Intermolecular Interactions was part of the COST action "Molecules in Motion" (MOLIM). The topics of the meeting included: fundamentals of intermolecular interactions, DFT in applications to intermolecular interactions, current challenges in Helium nanodroplets, intermolecular potentials, and cluster dynamics. The workshop took place in Santiago de Compostela (Spain), starting on the 2nd Oct and ending on the 4th. It was co-organizer by Berta Fernández-Rodriguez, Emilio Martínez-Núñez, and Saulo Vázquez from the University of Santiago de Compostela, and María Pilar de Lara-Castells from the Insitute of Fundamental Physics (CSIC, Madrid).